Cancer is a word we all hate, and it affects every family I know. I bet you can say the same. In my own family, we’ve suffered through various cancer ordeals. Some of us didn’t make it. Some of us have – so far. I’ve learned a lot about cancer and what it takes to fight it. I was especially interested in the topic of natural cures and came across massive amounts of information in my research. In this article, I’ll take about what I learned about using turmeric for breast cancer. 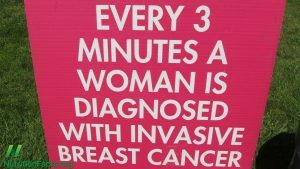 About 1 in 8 U.S. women (about 12%) will develop invasive breast cancer over the course of her lifetime. Based on 2011 statistics, in the U.S. alone, more than 220,097 were diagnosed with this cancer and 40,939 died due to it. 1.7 million new cases of breast cancer were diagnosed in 2012 throughout the world. Scary. But before you men breathe a sigh of relief — you are not immune to this disease. Statistics for men project 2600 men will suffer from breast cancer this year with 440 deaths expected. The bottom line is that no one is immune to breast cancer. You should carefully examine your breasts each month and follow up with a doctor when/if you see or feel anything suspicious. Don’t play around with your health! There are also natural things you can do to help prevent the occurrence of breast cancer, and can provide immunity support for those who already have it. One of these is a spice used daily in homes across the globe: turmeric. In this article, we will examine this amazing spice offer information about how it helps to battles breast cancer. Subsequent articles will provide further details, so stay tuned. I discovered the health benefits of turmeric a few months ago, and started using it. Known as the golden spice, turmeric is an ancient herb used for centuries for both nutritional and medicinal purposes. It has been used to treat disorders like the common cold, flu, bruising and swelling, eye and skin problems, upset stomach, arthritis and much more. Recently, research shows that turmeric is efficient in treating several types of cancers including breast cancers. This amazing spice is able to induce cancer cell death, reduce inflammation and inhibit the growth of the tumor. While breast cancer is one of the most common types of cancer and affects most number of people after skin cancers, it is problematic to treat. This is primarily due to the diverse nature of the disease, making it difficult to treat. Its treatment may take time and even be fatal. The most common type of breast cancer, ductal carcinoma, occurs in the ducts of breasts that carry milk. Lobular carcinoma occurs in the lobules that produce milk, and a relatively rare inflammatory breast cancer may cause the breasts to be red, warm and swollen. The ER/PR positive occurs due to hormonal imbalance. Once the cancer is removed, it can be prevented from recurring by giving endocrine therapy. The HER positive is more aggressive, but this also can be prevented from recurring after treatment by giving a drug called Herceptin. Finally, triple negative is the one that is negative for ER/PR and HER. It is usually caused due to the presence of mutated BRCA genes. It is in most cases, inheritable and there is not much therapy available to prevent it from recurring after treatment. Interestingly, research reveals that curcumin, the chemical compound in turmeric, plays an important role in all types of breast cancer inhibition, treatment and post therapy prevention of cancer from recurring. Additionally, it helps ease the symptoms associated with breast. While there is much anecdotal evidence, laboratory studies have also established that curcumin does offer anti-cancer benefits. It can cause cancer cell death, therefore preventing their proliferation. Curcumin is said to offer the best effects for bowel cancer, breast cancer, skin cancer and stomach cancer cells. What’s not to love, then, about turmeric? It makes (some) food taste divine and it has an ingredient (curcumin) that builds your immune system to fight the worst of the worst diseases: cancer. Here’s a video with ways this pretty young lady uses Turmeric in her diet (and beauty treatments!) and for her pets. 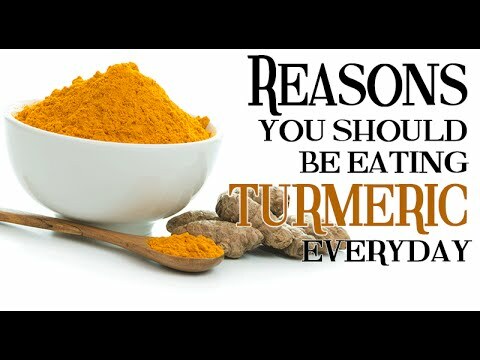 Enjoy and watch for our next article on the awesome benefits of Turmeric.